Property 3: Rosie's Woodland Paradise! Come relax and rejuvenate! Property 6: Location!!! A one minute walk to Downtown, yet located in a quiet neighborhood! Vacation in Comfort and Style! 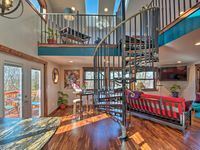 Property 9: Vacation in Comfort and Style! Property 10: Ashland Artist Country Retreat, Just 5 Minutes from Town! 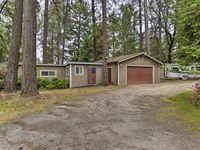 Property 14: Cozy Grants Pass Home - Walk to Rogue River! Property 20: Luxury Cottage in Jacksonville's Historic Core! Tranquil Gold Hill Home - Steps from Rogue River! Property 24: Tranquil Gold Hill Home - Steps from Rogue River! Charming, Comfortable Garden Studio Above The University. Property 25: Charming, Comfortable Garden Studio Above The University. Inn on 5th Cottage Suite! Property 29: Inn on 5th Cottage Suite! Property 31: Come Decompress at the Ruch Refuge! Property 38: COZY COTTAGE on quiet street near Lithia Park, Town and Festival! Property 39: NEW! Brand New Cottage Near Rogue Valley Wineries! Historic Jacksonville Cottage; Close to Shops, Restaurants, Trails, Hospital! Property 41: Historic Jacksonville Cottage; Close to Shops, Restaurants, Trails, Hospital! Property 42: ArtYCottage - custom furniture and art through out. Secluded and fabulous! Property 47: Ashland, Oregon. Booked until February, 2019. Feels like your in a tree house! This new, clean well appointed guest house has everything you need to prepare a nice meal. The owner, Jennifer, has done a great job and is very helpful should you have any questions. We will definitely be returning next time we are in the area.